Join the NOVA Running Club for our annual 5K race at Bluemont Park! A fast out-and-back course on the W&OD trail in Arlington, this is a great opportunity for a low-key weeknight race. Come shake off the heat and support the club and your fellow Northern Virginia community runners! Interested in learning more about the NOVA Running Club? Read on! The Northern Virginia Running Club, affectionately known as NOVA by its members, has been a fixture in the DC area running community since the early 1970s. A member of the Road Runners Club of America (RRCA), NOVA welcomes runners of all levels and ages. 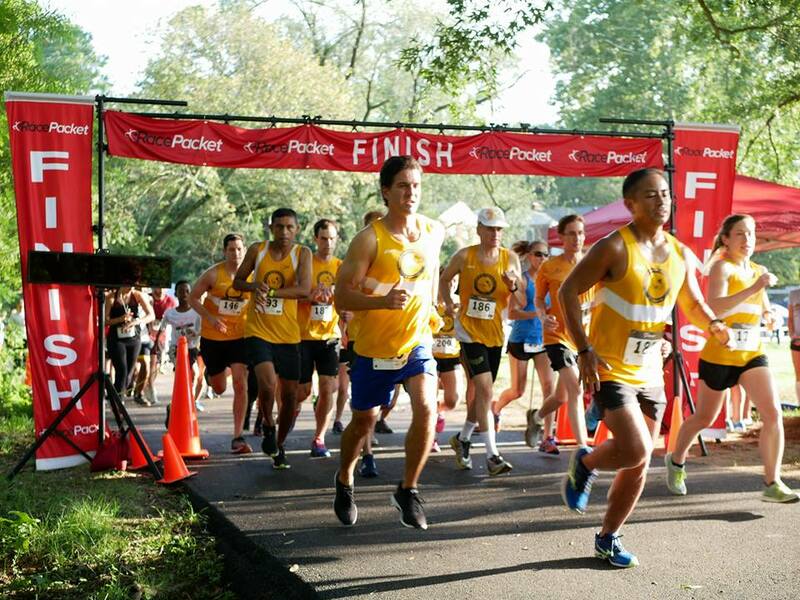 The club is a diverse group made up of local elite athletes, former collegiate competitors, top Masters runners, long time members, and new runners training for their first race. NOVA serves to fill an important niche in the running community for serious runners who seek to train under the guidance of a professional coach in the company of a friendly, welcoming community of dedicated runners, all of whom also recognize the importance of balancing running with full professional and personal lives. Membership Benefits: Coached weekly track workouts, weekly news, club discounts and social opportunities. A fast out and back 5K course on the Washington and Old Dominion (W&OD) Trail in Arlington, VA. Limited field size keeps this race very relaxed (and not crowded on the trail). Race starts at 6:30pm on Tuesday, August 14, 2018. There is limited parking at the park but there is plentiful neighborhood parking. Overflow parking is available in the neighborhoods.